If you are at a plateau in your training or would just like to try something different, you should give the “German Volume Training” method a try. 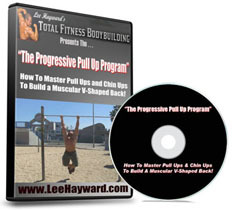 This is a great program for packing on muscle mass quickly. 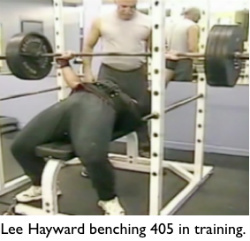 The German Volume Training Workout was created back in the 1970’s. This routine became popular by Rolf Feser, who was the German National Weightlifting Coach at the time. The basis of the workout is to 10 sets of 10 reps. This was used as an off-season workout to help Olympic Weightlifters gain lean body mass and shed excess bodyfat. It’s been said that weightlifters would often move up an entire weight class after just 12 weeks of following the 10 sets of 10 method of training. Back in 1996 Charles Poliquin helped make the German Volume Training a mainstream workout by publishing it in the magazine – Muscle Media 2000. 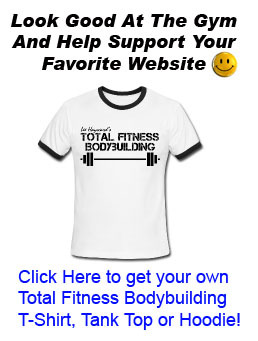 Since then it has been used by thousands of bodybuilders, powerlifters, weightlifters, and athletes across the globe to help gain muscular body weight. The goal of the workout is to complete ten sets of ten reps for each exercise while keeping the rest periods short, approx. 1 minute rest between sets. You’ll want to start conservative with your poundage’s as the shear volume of this workout will catch up with you very quickly. Start with about 50% of your 1 rep max, or a weight that you can do at least 20 reps with. It’s better to start off light and increase the weight from workout to workout and build on the momentum. It’s more fun to see the weights going up from week to week, rather than starting too heavy and having to drop back down in weight. The first few sets will feel easy, almost like warm up sets. But as you progress through the workout each set will get harder and harder. And by the time you get to those final sets it will be down right brutal as fatigue sets in. If you can get all 10 sets of 10 reps, increase the weight by 5-10 pounds for your following workout. But if you can’t complete all 10 sets of 10 reps, then keep the same weight for your next workout. Take the rest of the week off from weight training. This will give your body plenty of time to rest and grow. Cardio is optional and can be done on your rest days from weight training if you want to do some exercise “everyday”. In the 50’s this was a popular system and I used it for two years. I didn’t have anywhere near the results these experts claim. It is exhausting mentally as well as physiologically. I think anyone foolish enough to do a prolonged experiment with this will be very disappointed and lose the desire to train at all. I find your tips simply superb, very easy , every intense , very effective..Man you make look body building so effortless job.. I agree with Darshan. I started a strength program for change as i’ve hit a plateau. I was going into it excited by due to the high volume and repetitive use i had to take 5 weeks off due to a torn shoulder muscle. I also agree with advanced lifters actually loosing strength. I’m an advanced lifter and feel its almost like the reverse effect in that strength is lost as there isn’t enough tension on the muscle for about 4 weeks as the weight is low. 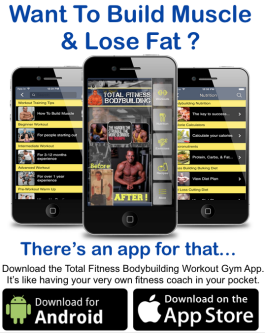 Assuming this could be used as a 12 week program, the first 4 weeks are lost due to such a low weight being used. 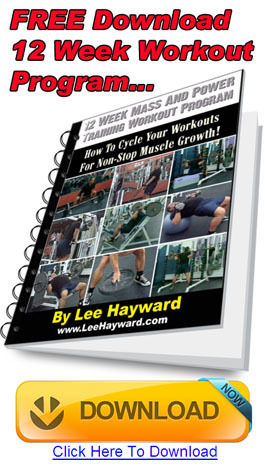 I clearly understand that the second half of a 12 week program would be very taxing….my concern is the light slow start to the program will reduce strength…and the heavy overuse and repetitive motion on the joints during the second half of the program with increase the chance of injury. That said, i will probably give it a go as i’m aware of Charles and his expertise in strength training. Reading some of your comments here, oh dear think your missing the point maybe???? If you did use this as a 12 week programme why wouldn’t you switch up body parts or exercises every 3 to 4 weeks??? so Monday chest and back flat bench and bent over rows for 3 weeks then do incline and pull ups on a monday for 3 weeks!!! Also adding a little 2.5kg on as you make progress is gonna increase the intensity. I’m guessing your gonna get very fit using this method and when you go back to heavy weights your form is gonna be excellent. This is NOT a program to peak out your strength or prepare for a lifting competition, it was used in the off-season. So just picture a weight lifter who has trained for and competed in a competition, chances are he will be borderline overtraining at that stage. So by switching to a program that uses lighter weights, higher volume, and more time under tension would serve as a de-load phase to help him recover from the heavy lifting. This would give his central nervous system a break from the stress associated with max effort lifts and provide some unique muscle stimulation from the different training protocols at the same time. Hi lee, Keep up the good work with a variety of training techniques. After all its the change thats going to get those muscles to grow. I find I have varying levels of strength when I hit the gym depending on what I ate and when and the last workout. So I find varying the weight and the number of reps works best for me. I can tire the muscle (after a good warm up of a 20+ rep set or two with very light weights ) by using increasingly heavy weights. Hi Lee, just wondering would u recommend doin this type of training while taking creatine and zma or is it the wrong type of training for these supplements? i actually use to do this routine it helped me lose body fat,but not gain any lean mass.why is that lee? Your workouts don’t change because you are taking creatine or any other supplements. In order to gain mass you need to be in a caloric surplus. So if you didn’t gain any weight or you lost weight it simply because you never ate enough to grow. For this 10×10 Volume workout you need to be on some kind of dope. My workout is the direct opposite: I only do 1 set of squats and 1 set of bench press and 2 sets for the others. I look forward to each workout. I’m really enthused as I’m gaining muscle mass (very slowly but surely). Just curious, you’re only hitting biceps and triceps once per week and only 3 sets. I feel like that is not enough for them to grow, is it something to do with the back and chest day that works them quite a bit as well? I’m 66 and retired, been weight training since 1974. This 10×10 routine is GREAT !!! on Fridays. Also 10-12 reps, 3 sets of standing ez-curls on Mondays and Fridays. Too bad I didn’t hear about this 30 years ago. I have energy like I had in my forties. Ahh yes. The dreaded GVT. I make a point to do this twice a year for 4-6 weeks. If I remember correctly, it demands you do slow negatives too. 4-0-2 for big compounds lifts and 3-0-2 for the isolation lifts. Last time I did it, I did 10 sets of squats for 6 reps with something like 90kg and that ruined me. But the growth was great! I’ll definitely do this again! !